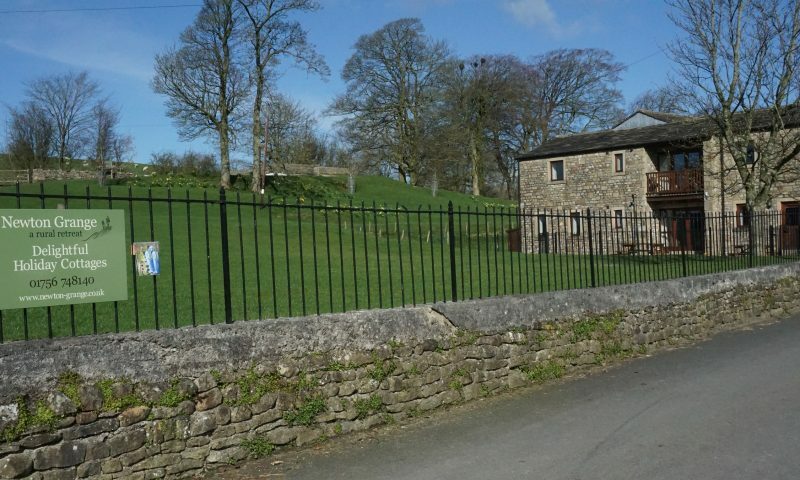 Newton Grange Cottages are Visit England accredited Four Star accommodation, walker and cyclist accredited accommodation - and a superb base to explore all that the Yorkshire Dales National Park and Forest of Bowland Area of Outstanding Natural Beauty have to offer. 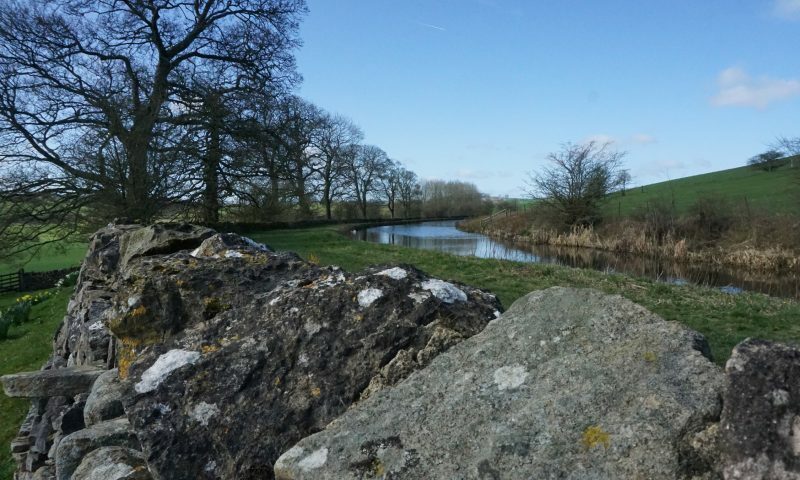 Not to mention, simply pottering from the doorstep to enjoy the surroundings of Bank Newton. 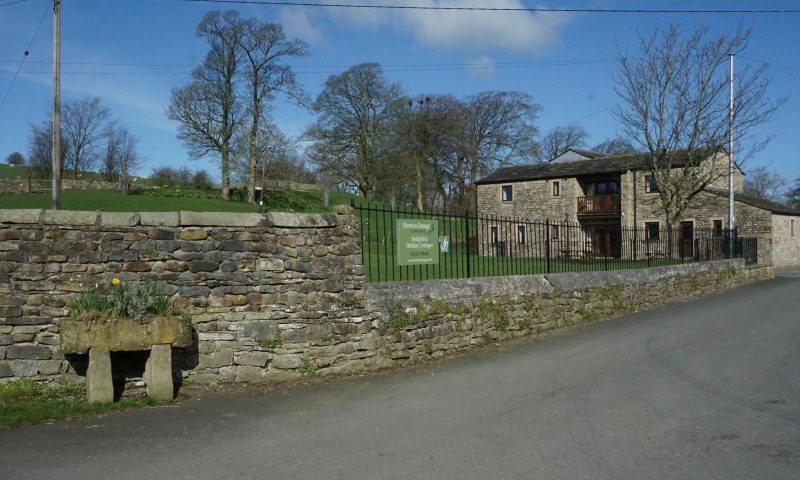 The cottages are surrounded by patio areas and you can walk and play in our field in front of the cottages, and join the canal towpath by walking through the wrought iron gate on the right of the picture, through the field and up to the top left corner, through the wooden gate to the canal towpath. 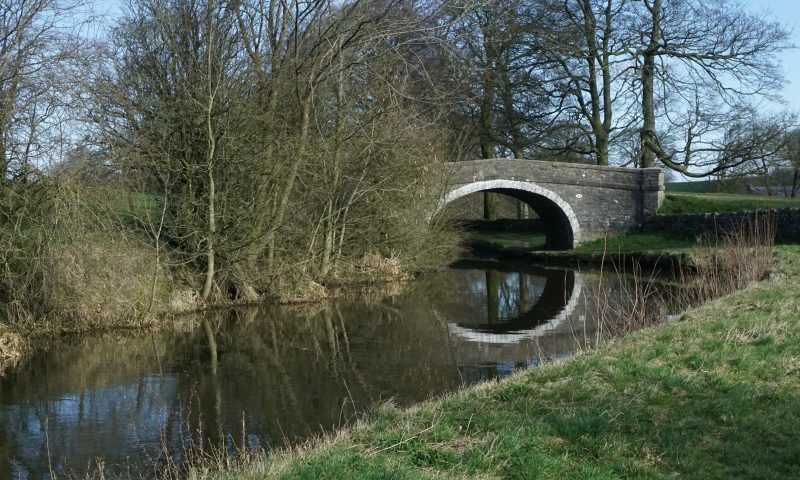 Reflections of Bridge 164 of the Leeds Liverpool Canal, from the canal towpath next to Newton Grange Farm. 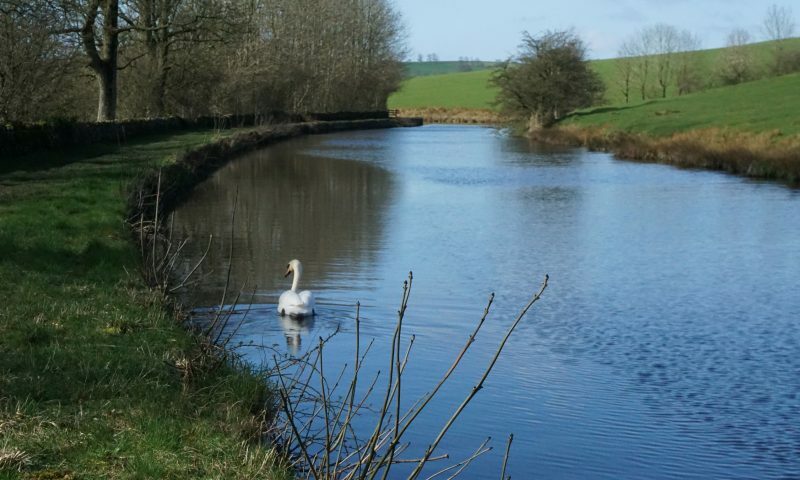 The swan enjoys a morning swim on the Leeds Liverpool Canal in Bank Newton. 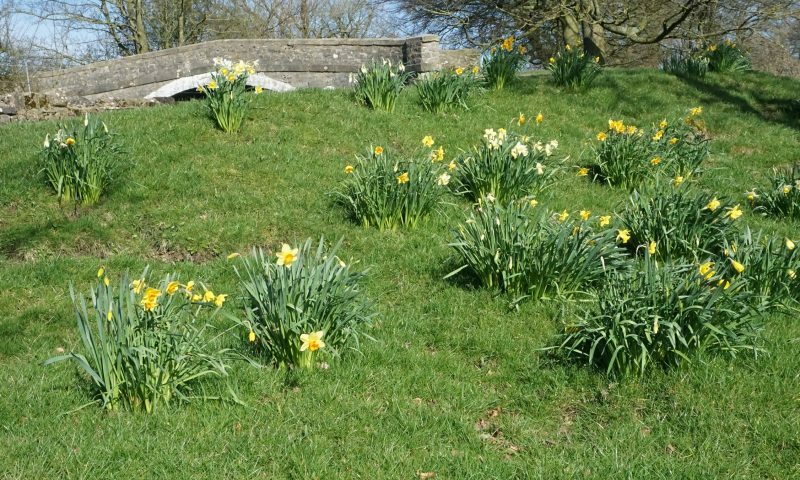 The daffodil bank on the hillside above the cottages, with the outline of Bridge 164 of the Leeds Liverpool Canal behind. The lambing sheds are full with ewes and their newborn lambs this morning. 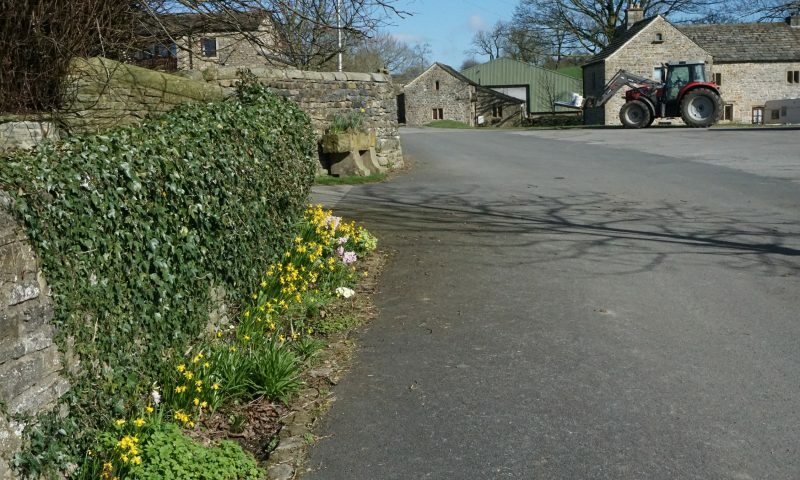 Looking back to our car park and cottages from the bridleway in front of Newton Grange Farmhouse. 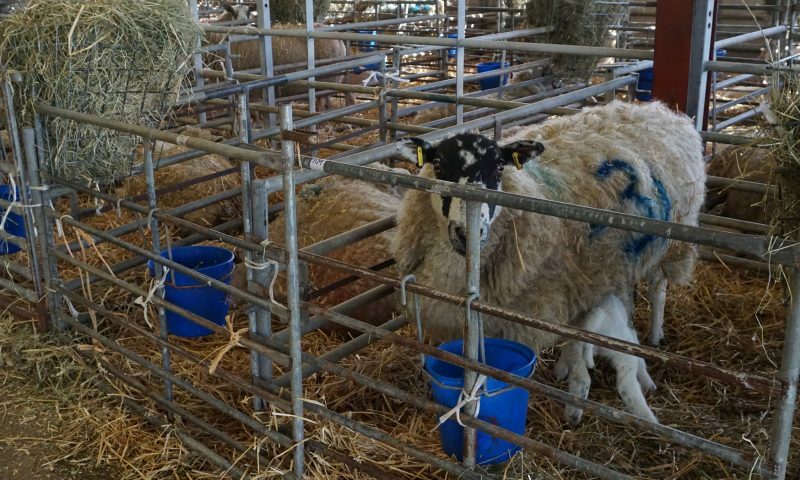 Spot the tractor in the picture - we're a working sheep farm, after all. 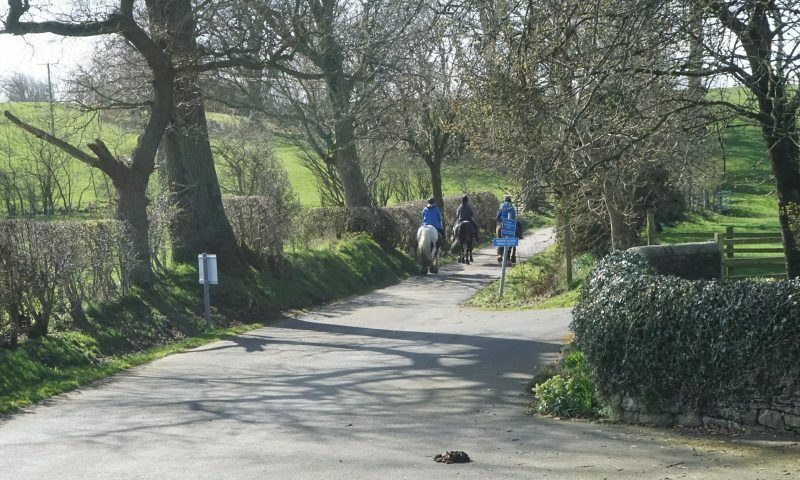 Horse riders enjoying a morning hack out along Trenet Lane in Bank Newton - a popular traffic-free route for walkers, cyclists and horse riders alike. 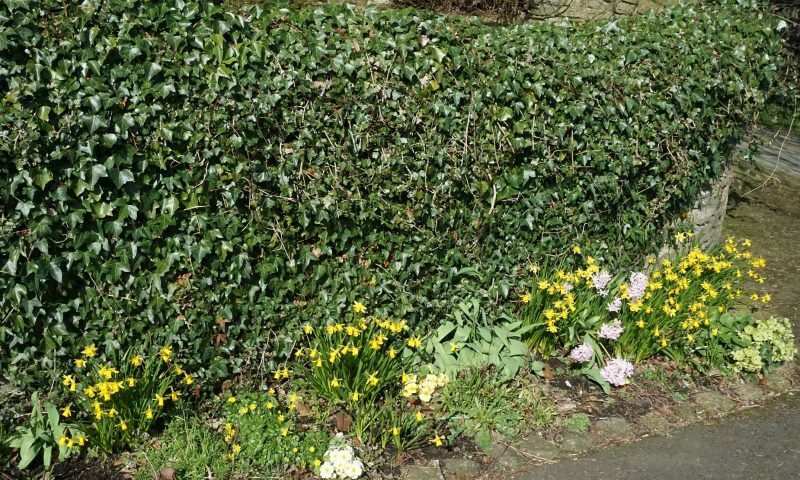 The sun is shining on our flowerbeds. 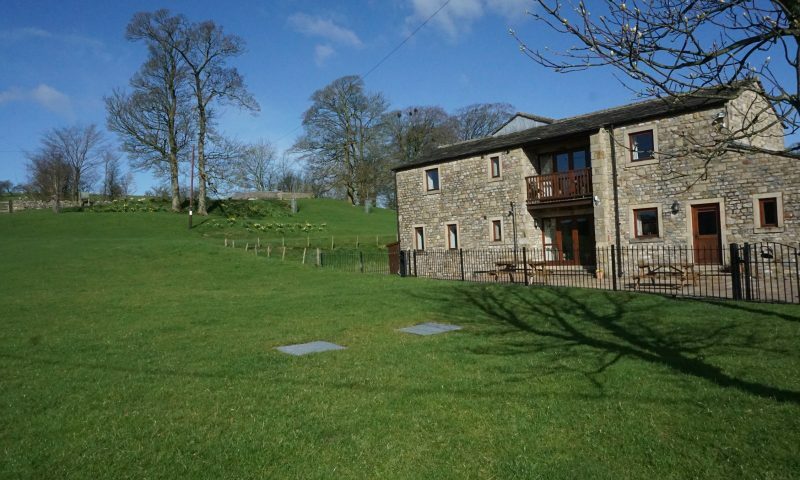 Newton Grange Cottages - A delightful place to stay, our very special rural retreat. Spot the sheep grazing on Banks Hill in the top let corner, the outline of the canal bridge at the top, the greenness of the grass and the abundance of space to enjoy around the cottages. We hope that you'll visit us soon.